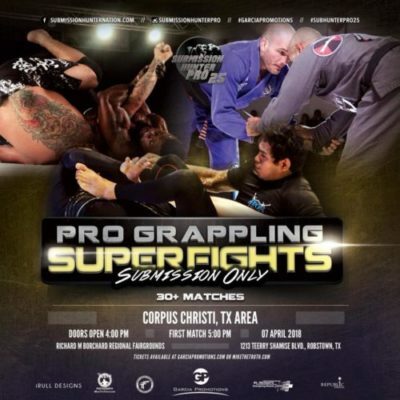 Submission Hunter Pro returns to the Robstown for Submission Hunter Pro 25. The grappling event takes place on April 7, and will be held at the Richard M Borchard Fairgrounds. You can check out the complete card below, including a Black Belt title match. Support your favorite grapplers by purchasing your tickets here at MikeTheTruth.com.